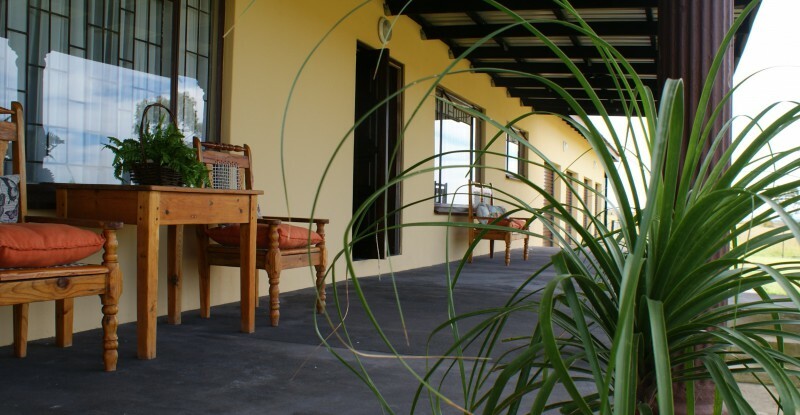 Skirted by neatly lawned gardens that border onto spacious grass lands, Mountain View Guest House snugly rests in clear view of the Biggarsberg Mountains. 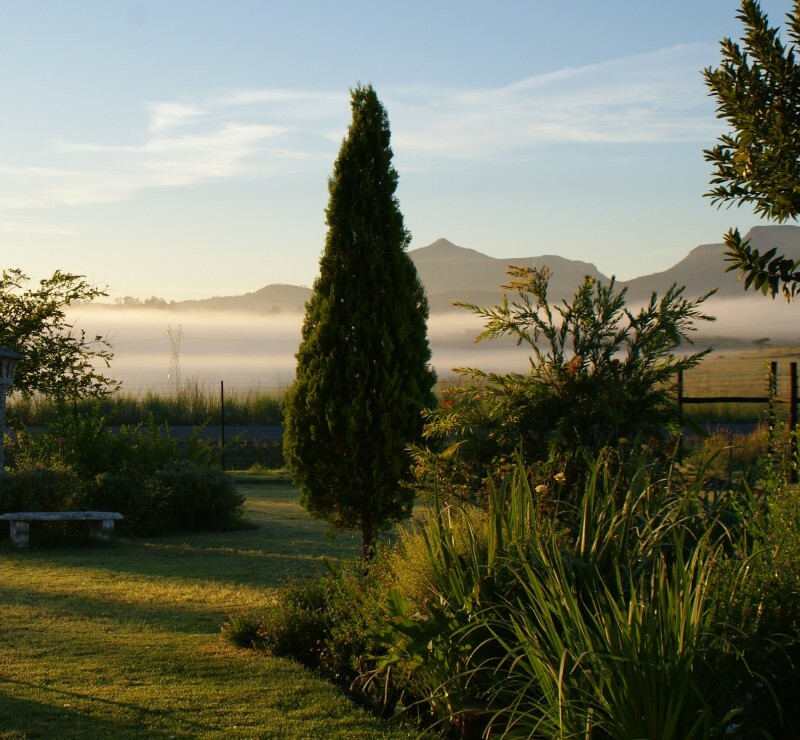 Magnificent views of both the Endumeni and Mpati peaks are visible from mostly every window of this gracious farm-style house. Each of the 5 luxurious rooms opens onto spacious verandas encircling the house, offering country freshness, peace and tranquility for the revival of one’s senses. 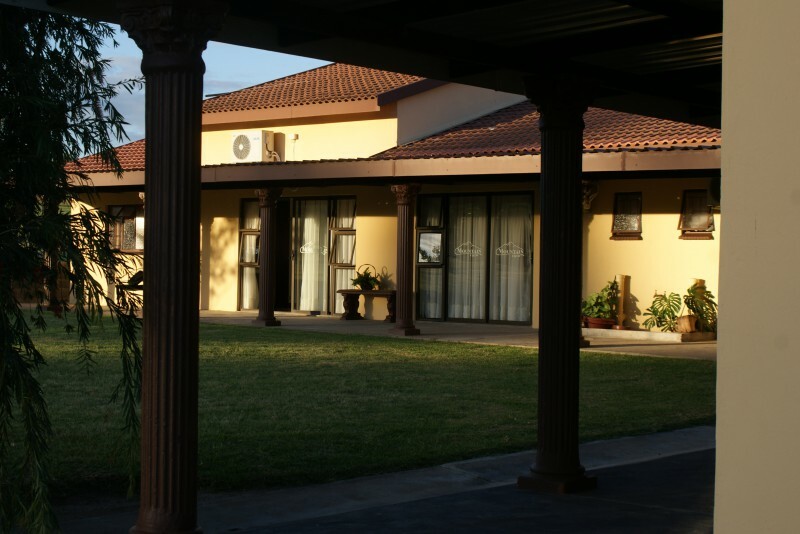 Entrance to the property is motorized and electrically fenced, ensuring complete security and confidence of safety. 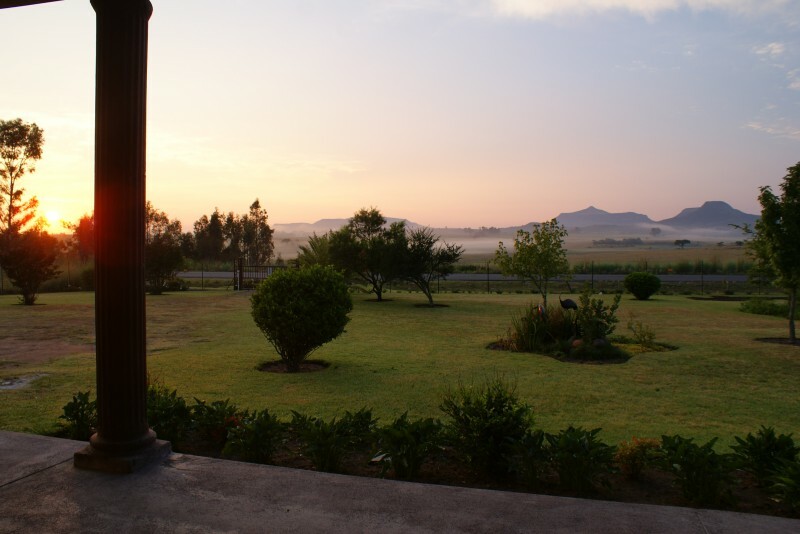 Positioned close to Glencoe town (approx 2km) on the main route from Ladysmith to Dundee (approx 7km), it is a central and an equally convenient location for the business and tourist traveler wishing to explore the many historic attractions on the “Battlefields Route”. This is a farm-like property where a number of animals roaming the grass lands create an additional attraction. We have 25 Emu originating from Australia that are rarely seen elsewhere. This is a bird similar looking to an Ostrich, with a smaller frame. These flightless birds tend to stay close to the fence skirting the garden from where they stretch their necks wanting to get a closer look at any movement of humans. They are tame and curious, often walking close to one when entering their camp. Donkeys and Ponies peacefully roam about, and ducks are mostly hiding in the lush grass or splashing about in their pond. Lights filters gently into the lounge where guests are invited and welcomed to enjoy the comforts of this room - for TV viewing on large screen, reading or simply relaxing. The cozy dining room is open to guests at all times where the coffee station kettle is constantly steaming away to fill the cups over any of a large selection of beverages. 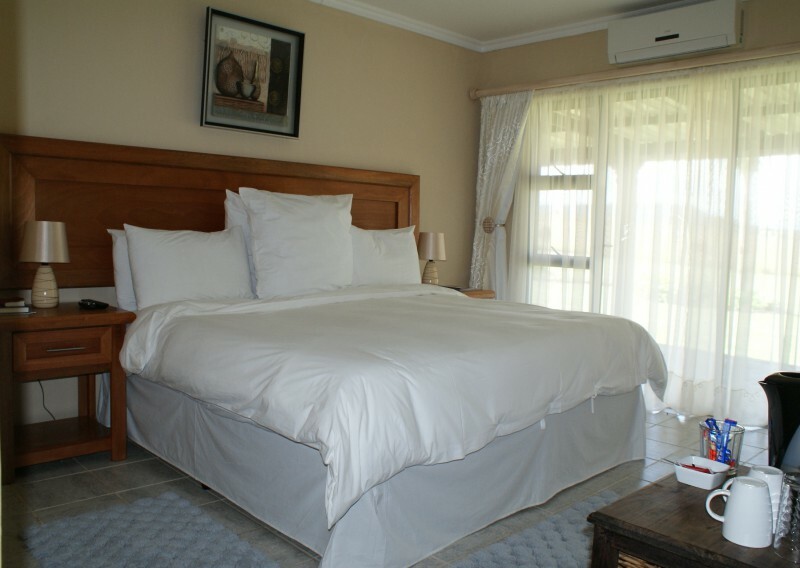 The spacious bedrooms are extremely inviting with its crisp & neat luxuriously dressed beds, stylishly fitted and furnished in superb quality. 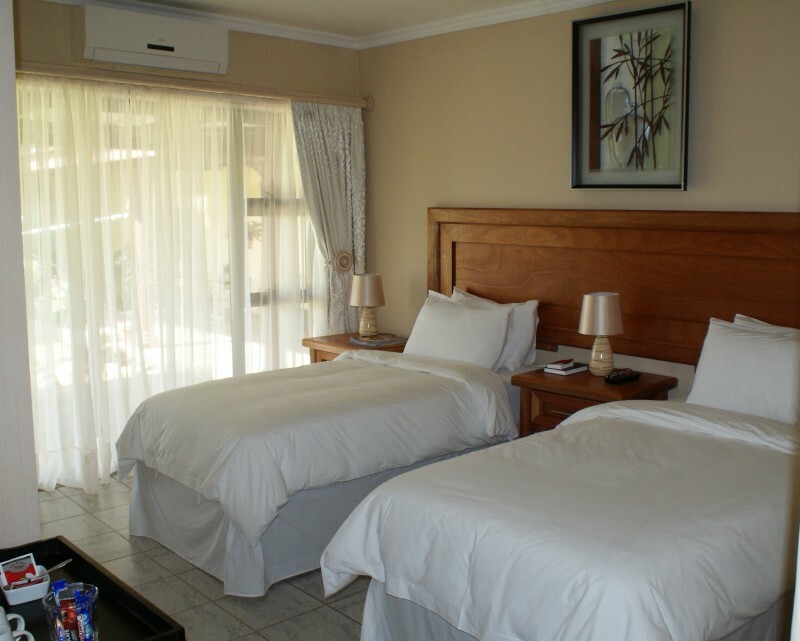 Each en-suite room is fitted with flat screen TV, air conditioner and coffee tray. Small business meetings and events for up to maximum 10 delegates that include morning & afternoon teas and a luncheon. Group dining (breakfast, lunch, dinner) would be made available upon a 7 day prior arrangement. 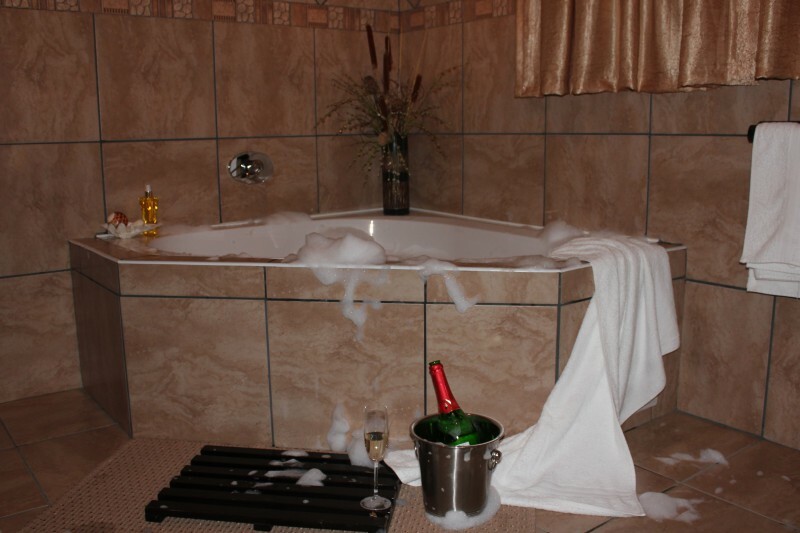 Guests are warmly welcomed and received by Lee, whose first priority is to see to your every comfort. Apart from her global experience in the restaurant and 5 star hospitality industries, her warm personality adds an extra dimension of homeliness to be enjoyed by guests. They are generally surprised by the hearty breakfasts that generally include home baked bread and pastries, personally and passionately prepared and creatively presented. She delights in sending you away with a delicious packed lunch when required. 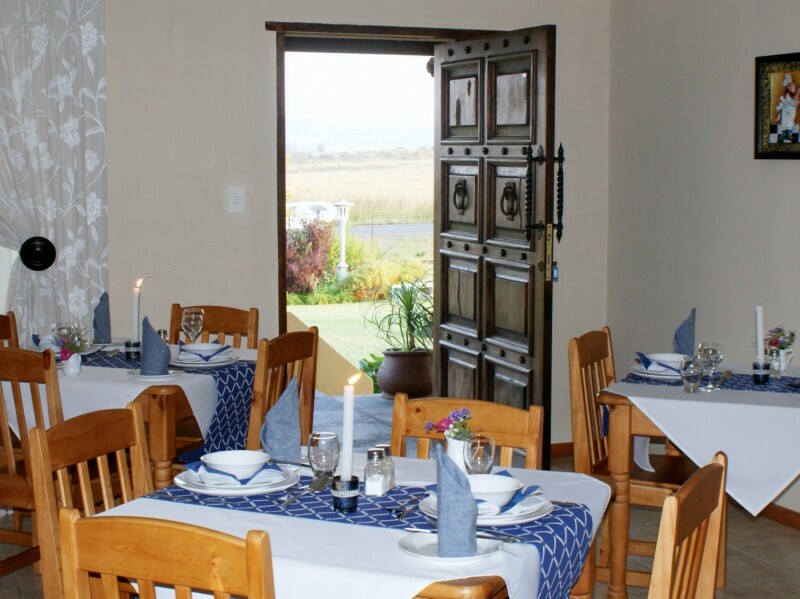 Dinners are offered on special request and can vary from basic meals to elaborate multi course fine dining in a softly lit setting. 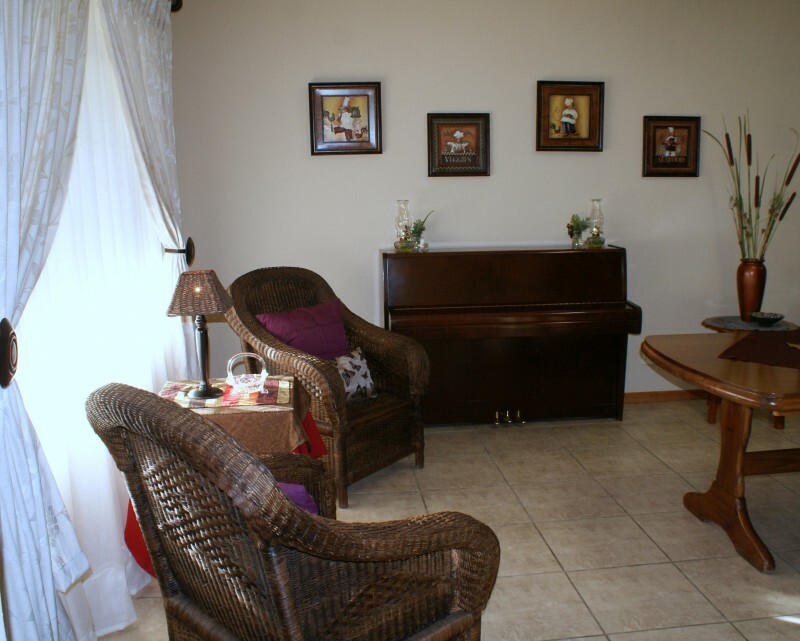 Special occasions may be celebrated in a cozy setting and even enhanced by live piano music produced by Lee herself. 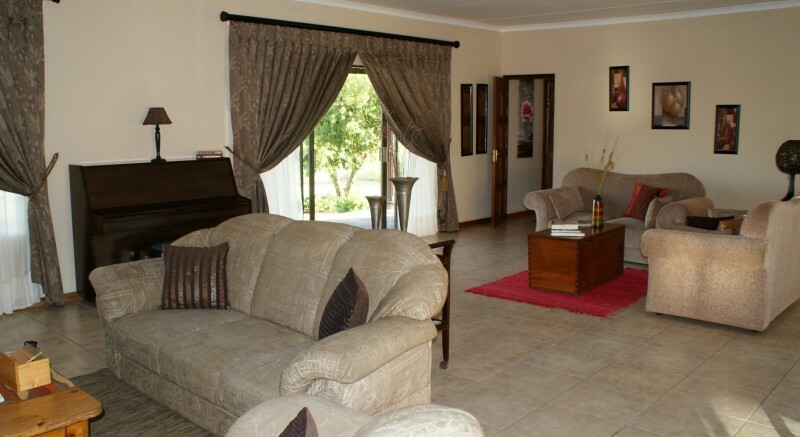 Mountain View Guest House has a total of 5 Rooms accommodating a maximum of 10 guests. Special group breakfasts will be made available upon request by prior arrangement.